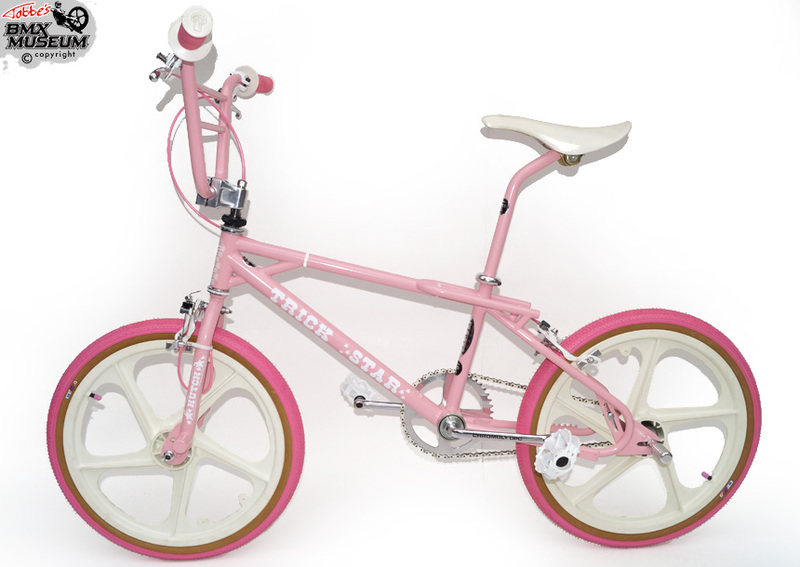 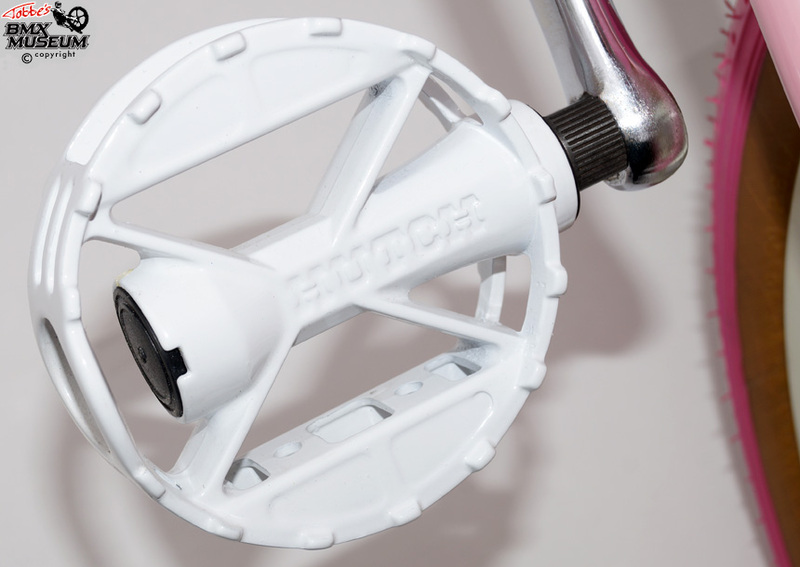 Hutch TrickStar is one of the most sought after old school freestyle bikes today. 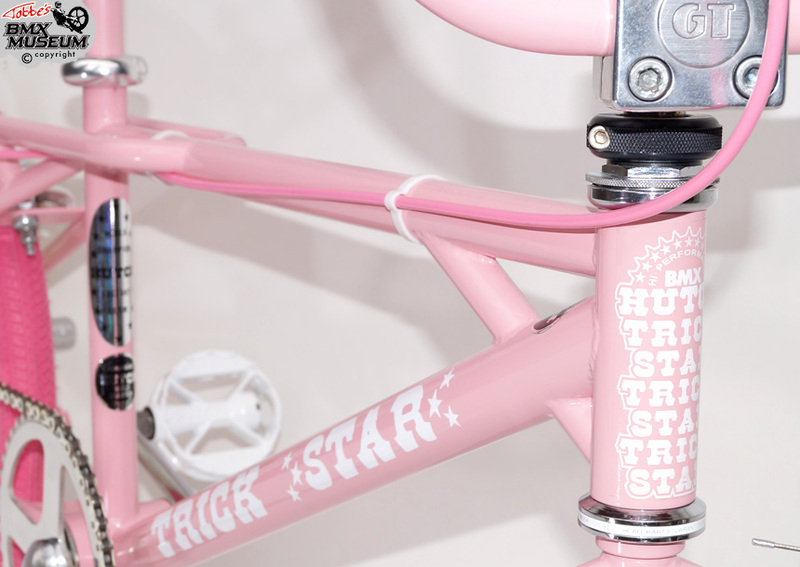 Woody Itson, Mike Buff & Mike Dominguez were some of the Hutch teamriders who used to ride TrickStars back in the days. 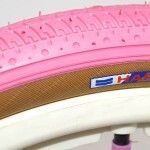 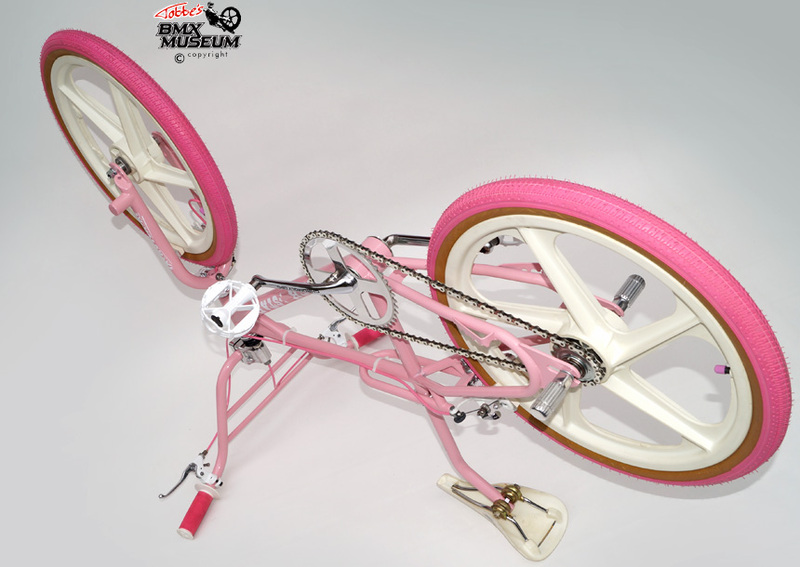 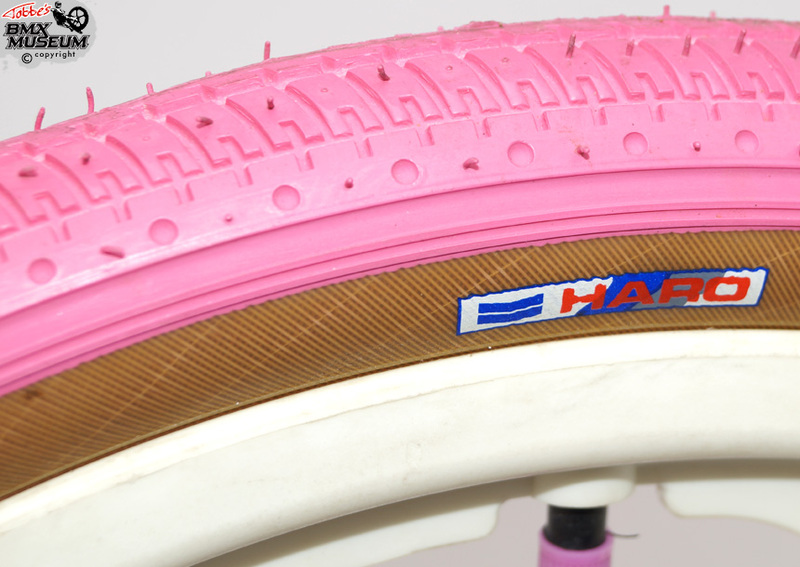 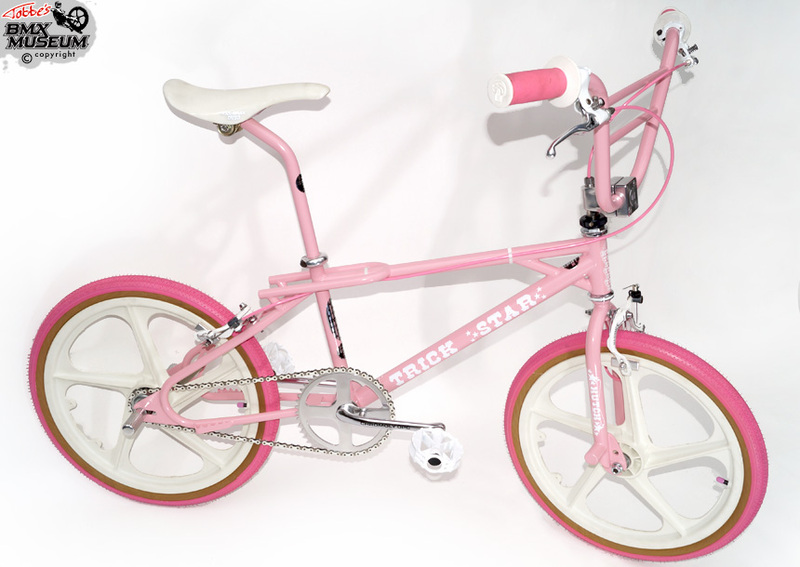 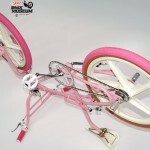 Normally I wouldn’t build a pink bike, but it’s the most common color for the TrickStar. 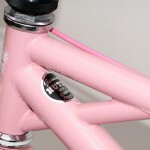 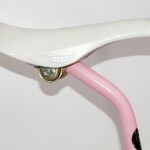 This frame/fork/seatpost is the 1´st generation and made in USA. 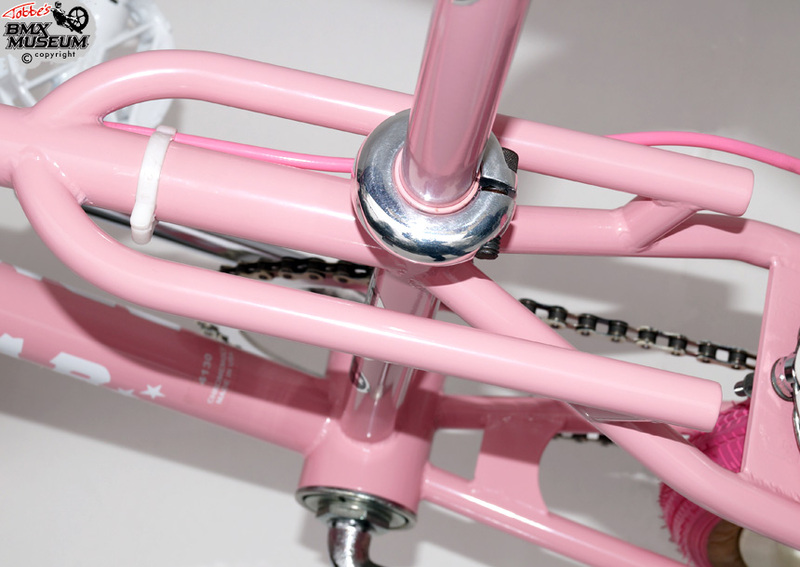 Later it was made in Taiwan. 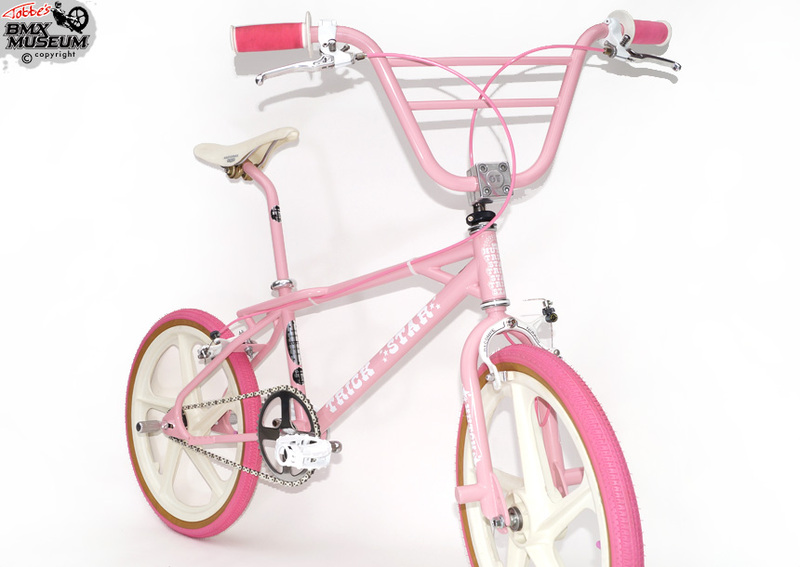 I found this bike at Blocket.se (Swedish version of Craigs list) in Gothenburg, Sweden. 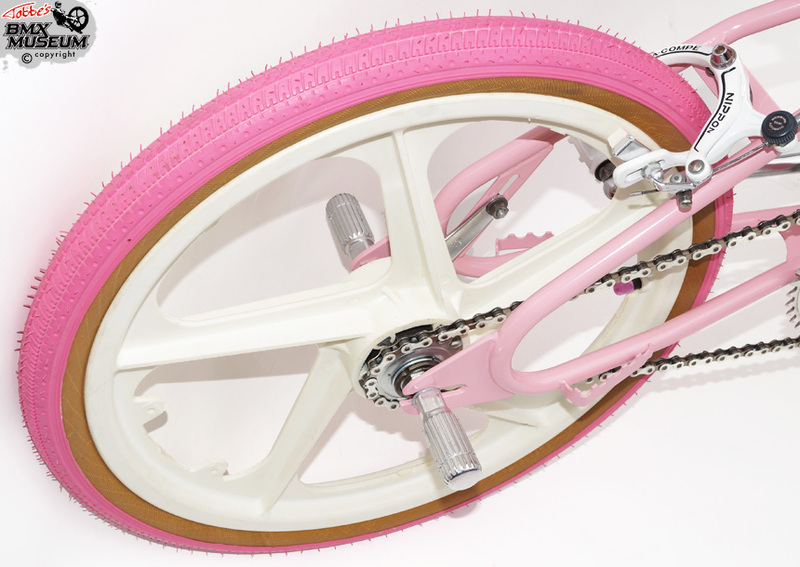 The seller didn’t want to ship it to Stockholm, so I had to bribe him to send it. 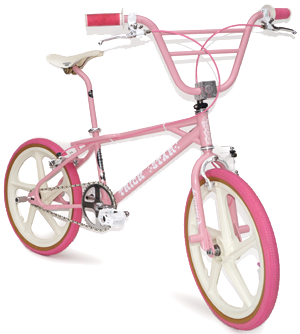 The seller didn’t send it anyway, even though I had paid for it, but it was sorted out by Mikael J who collected the bike from the seller and sent it to me. 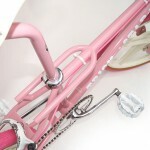 Thanks Micke! 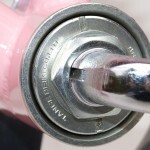 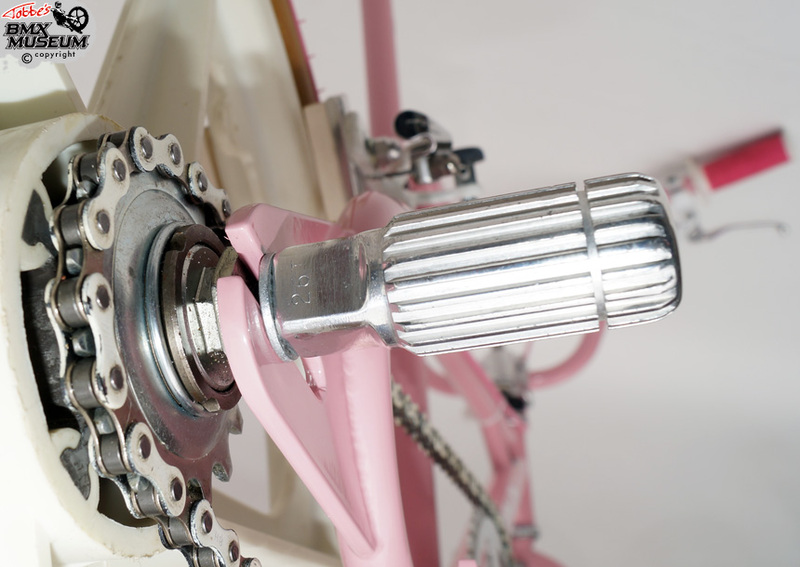 Many of the parts from the bike have been saved and refurbished. 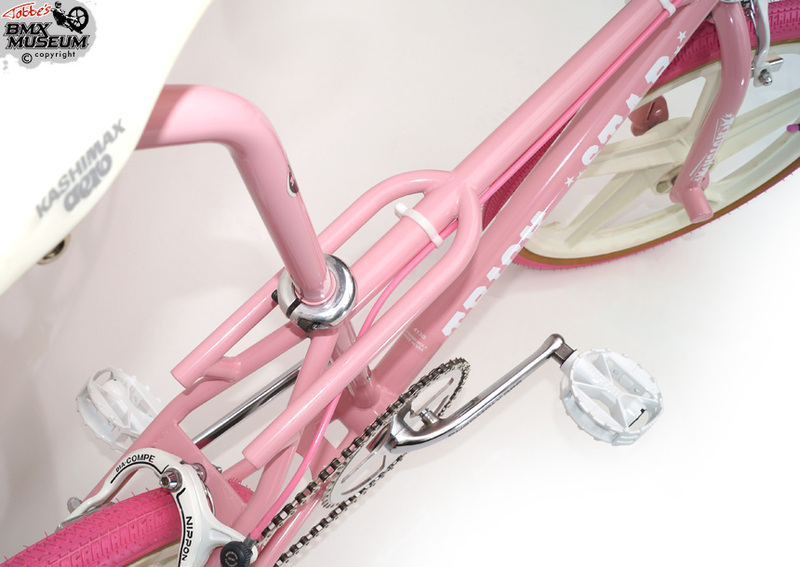 New parts are; tires, tubes, chain, chainwheel, bottom bracket, grips, brake cables, brake pads and headset lock. 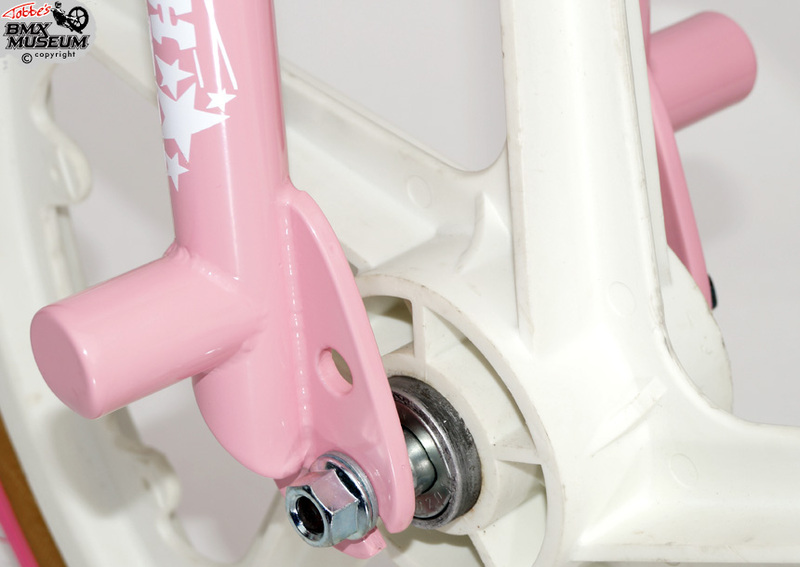 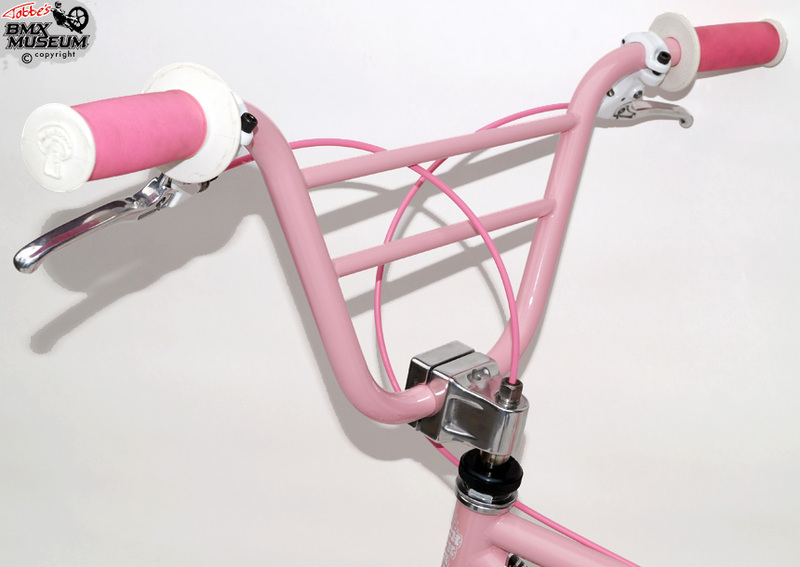 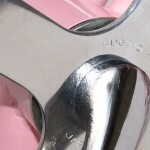 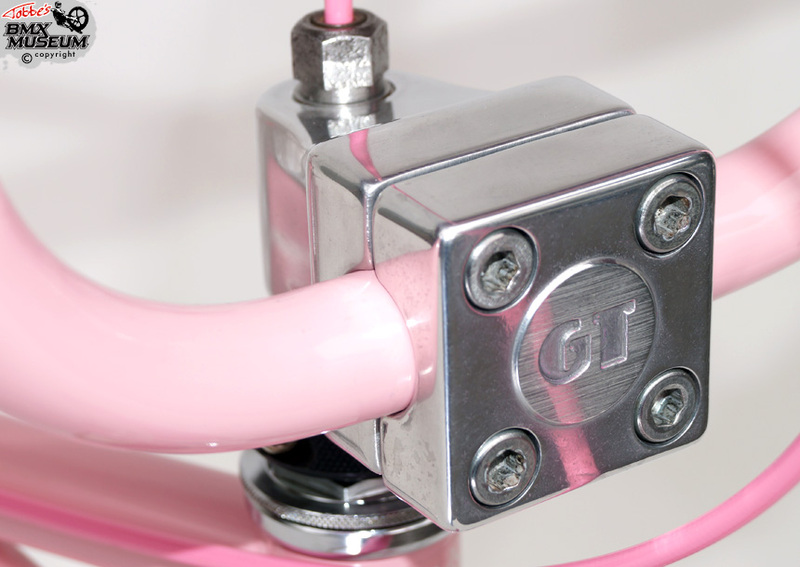 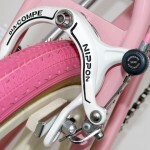 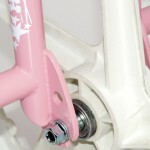 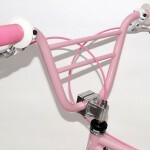 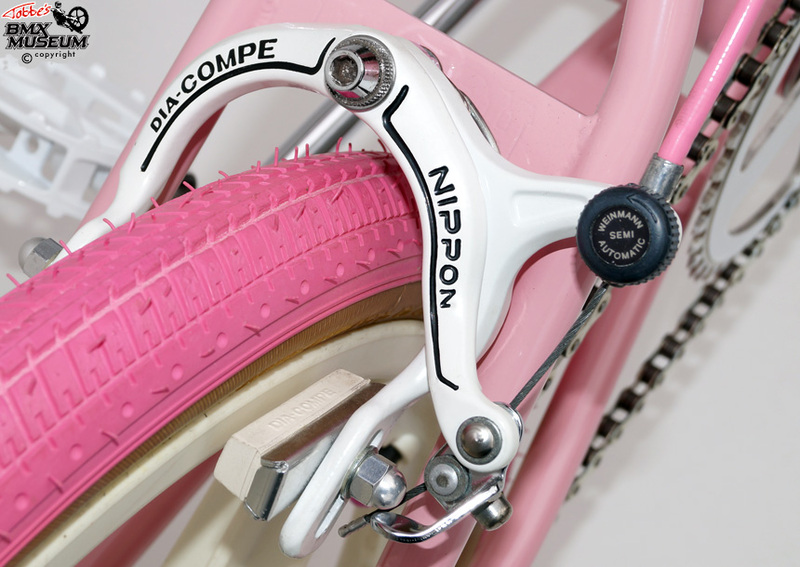 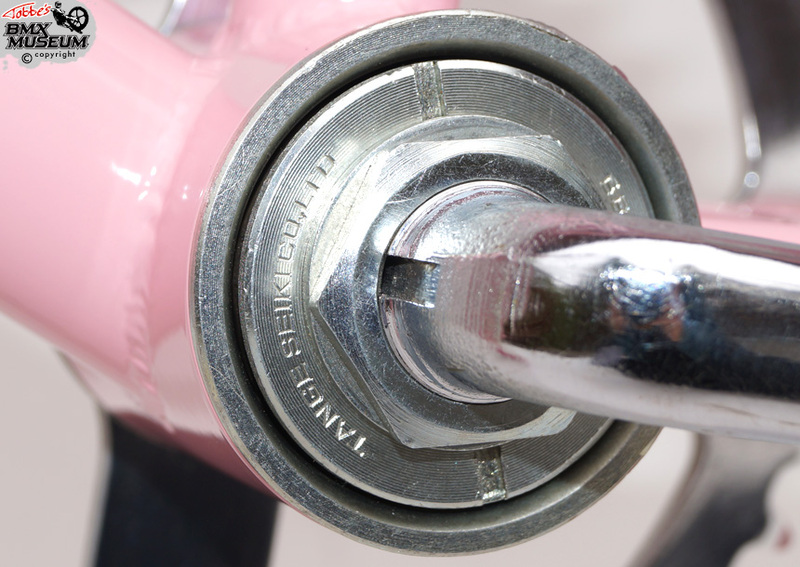 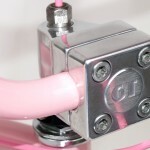 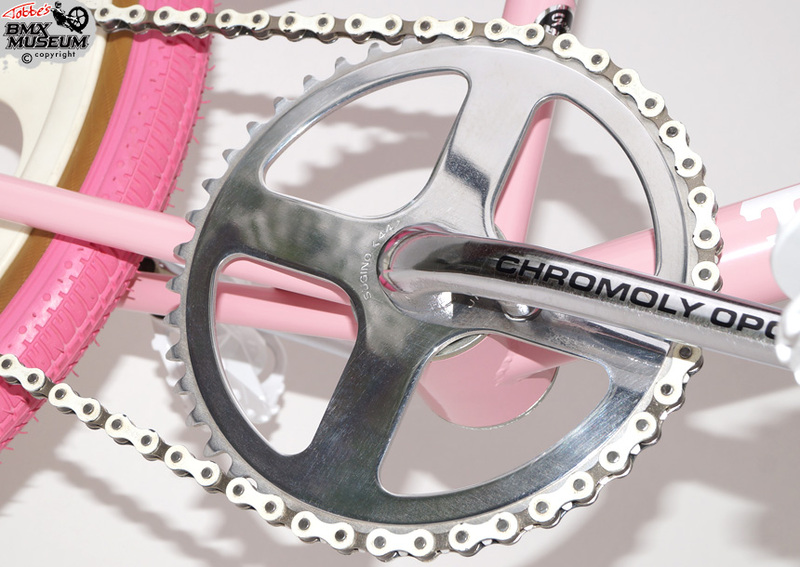 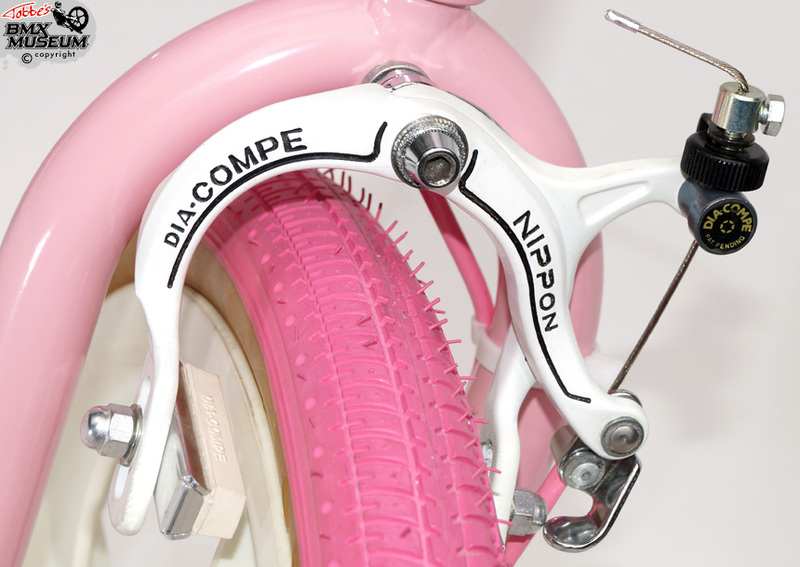 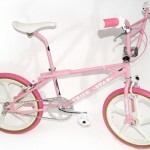 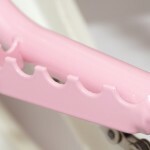 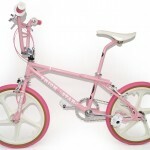 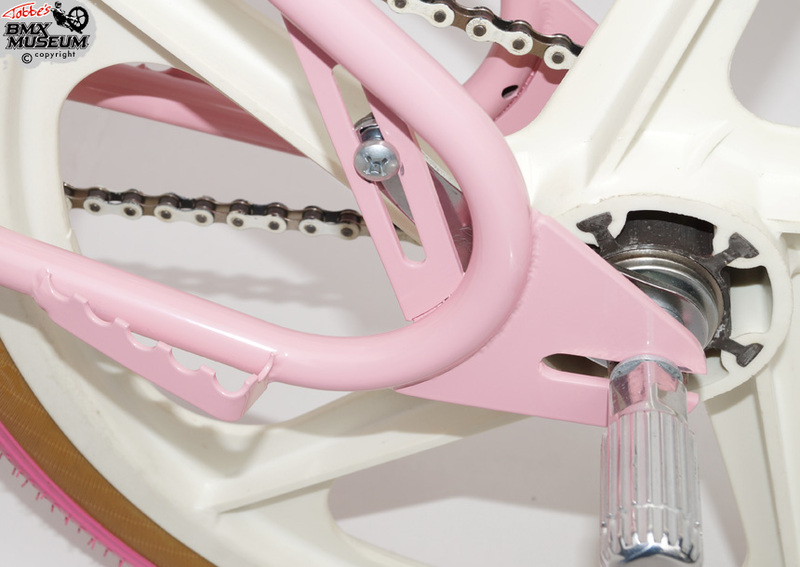 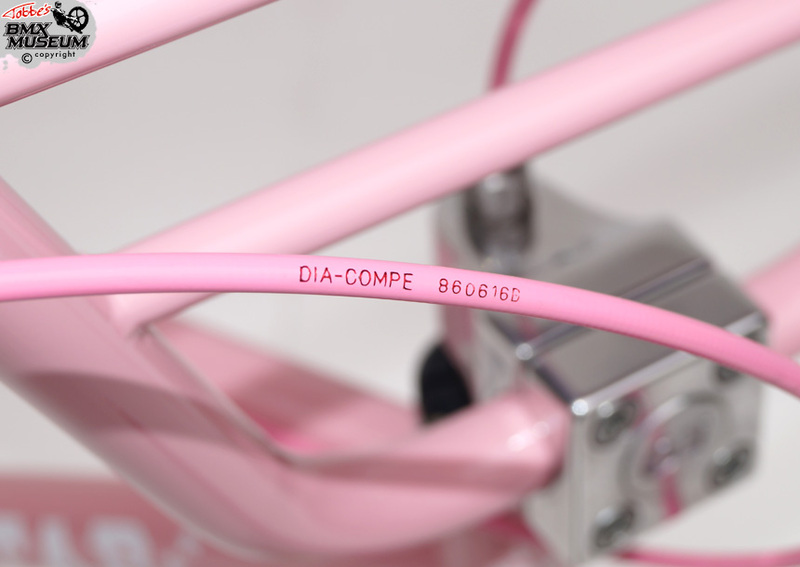 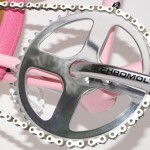 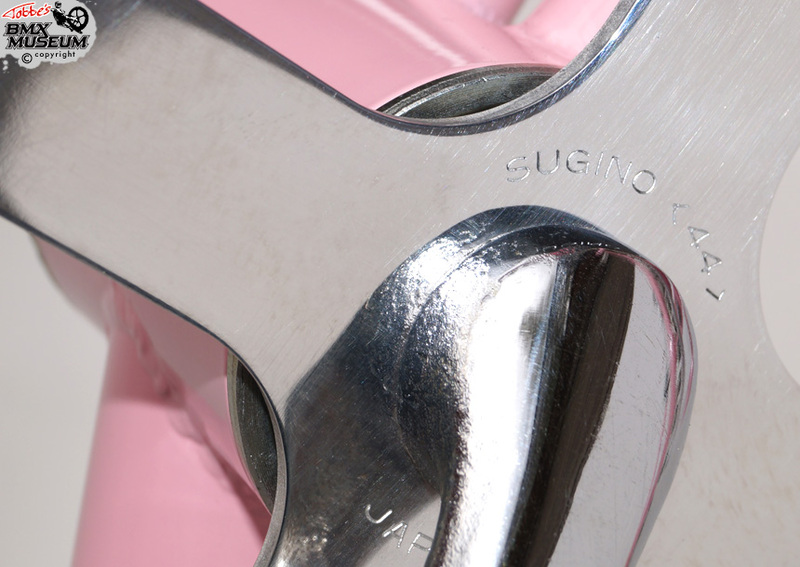 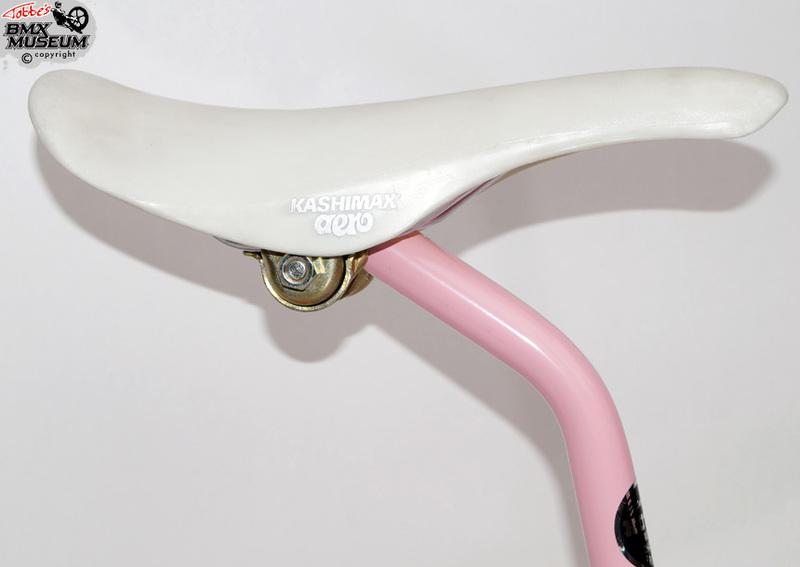 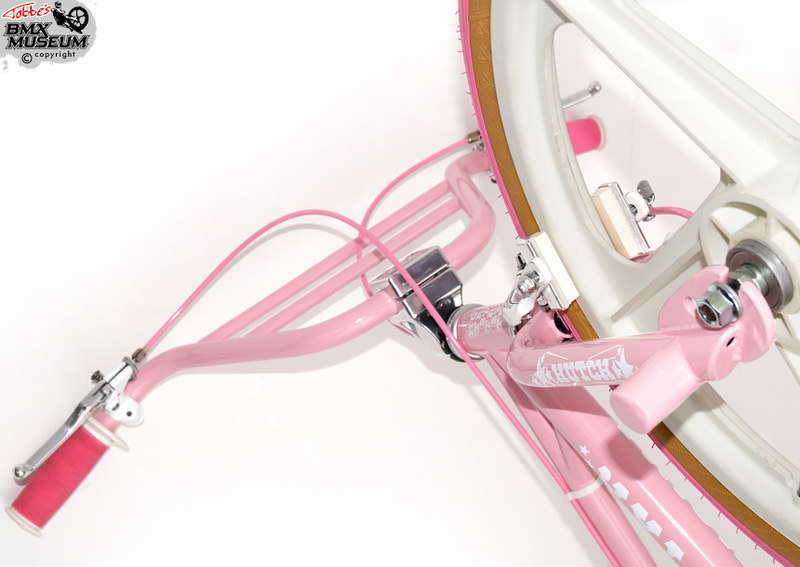 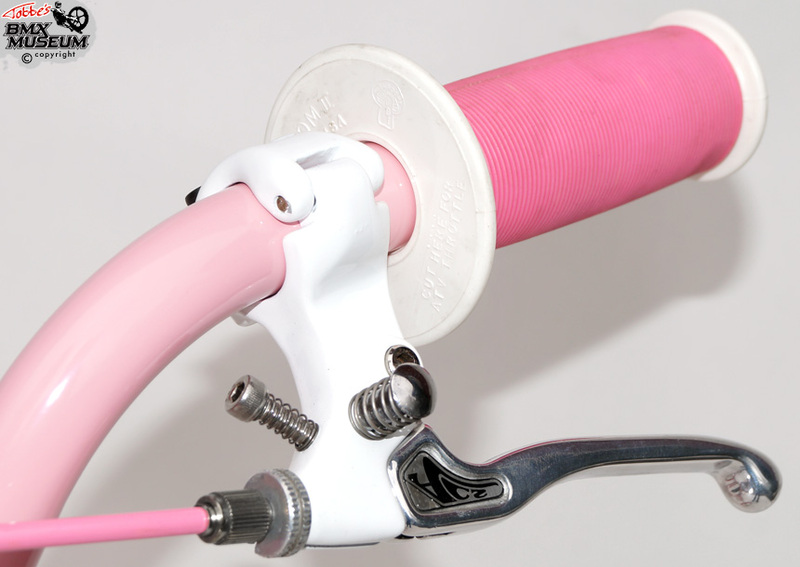 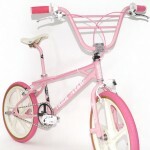 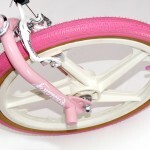 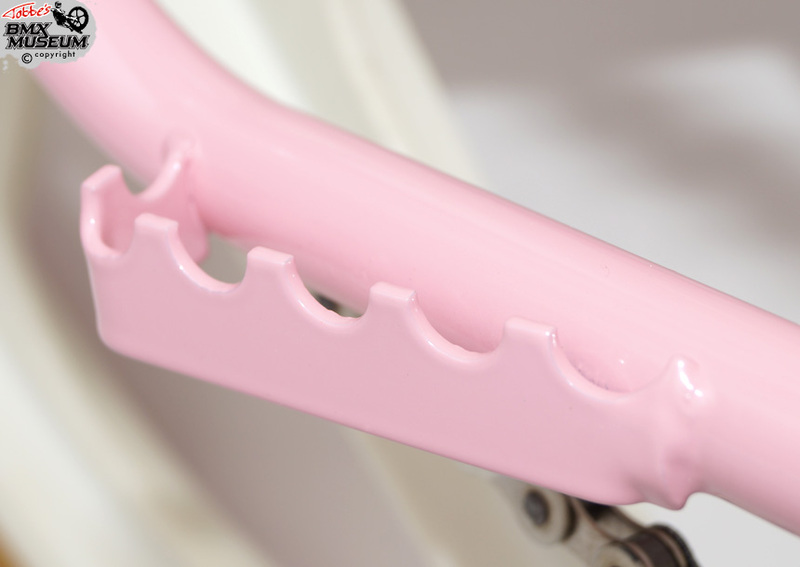 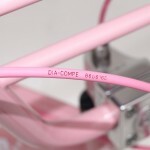 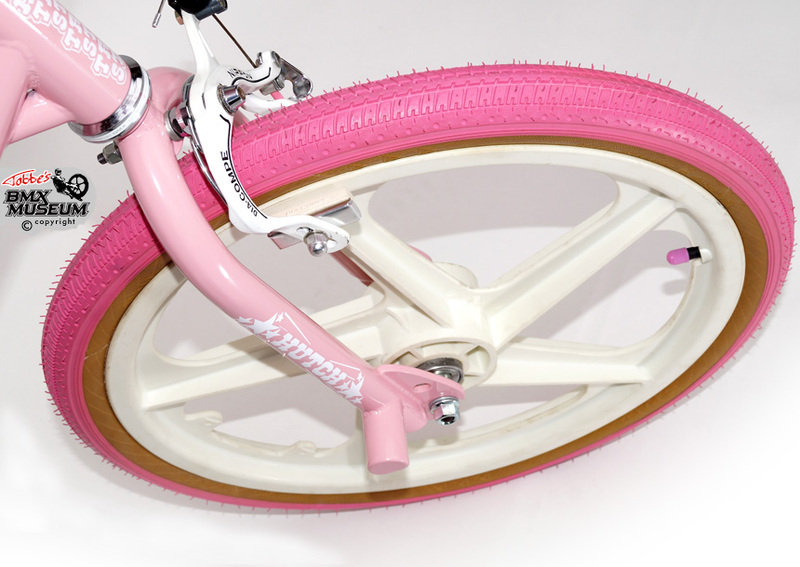 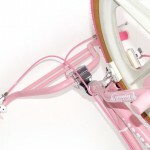 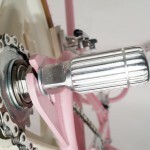 The frame/fork/handlebar/seatpost have been refurbished and powder coated in pink, and the pedals & brake levers in white. 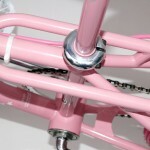 Big thanks to Barspin-Danne for powder coating it for me! 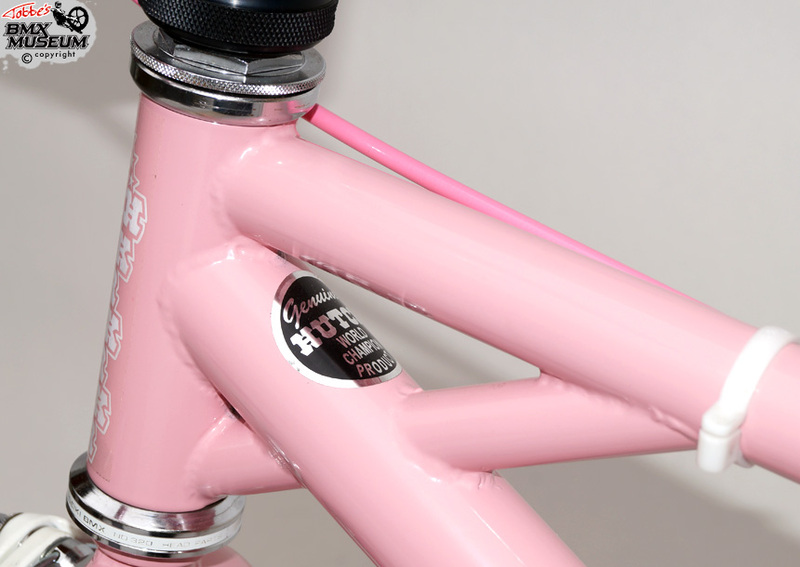 I tried to order reproduction decals directly from Hutch website, but they had a bad attitude so I made the decals myself instead (for the downtube and fork). 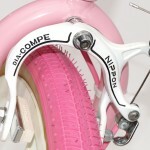 The other decals was bought from other places. 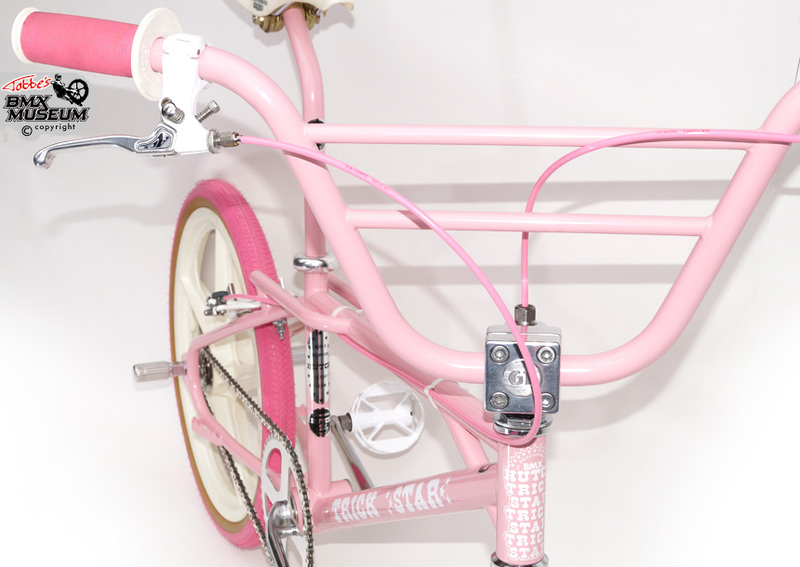 It’s been updated for 2014 with correct Hutch Mike Buff “Ladder bar”, Hutch seatpost clamp, and OGK mag wheels.